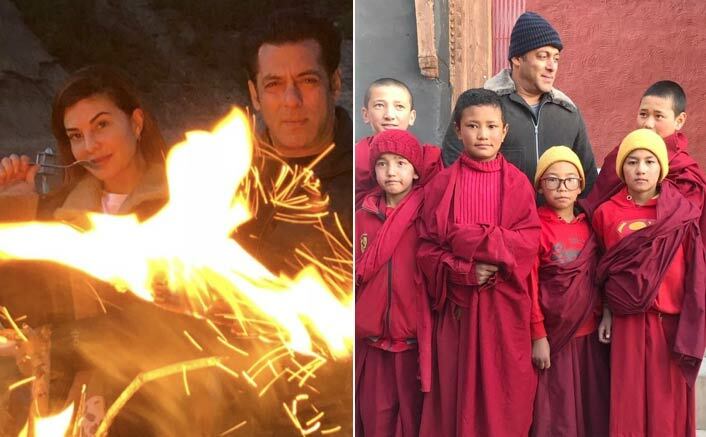 Race 3 Shoot Photos: Salman Khan & His Team’s Unseen Moments From Leh & Kashmir! Race 3 Shoot Photos: Salman Khan is in Leh along with Jacqueline Fernandez and the team of Race 3. The team is currently shooting the last few scenes for the movie, including a romantic song. After shooting for months in Thailand and UAE, the film is finally in the last stage of shooting. Set to hit the theatres on June 15, Race 3 promises to take the franchise to another level, with a completely revamped cast and next level action sequences by acclaimed action coordinator Tom Struthers. With Salman replacing Saif as the lead, the actor’s fans can’t wait for the film, since he will reportedly be playing a grey character in the film, bordering between good and bad. Sikander & Jessica Are On FIRE… #SalmanKhan with #JacquelineFernandez in #Ladakh! #SalmanKhan with #JacquelineFernandez on the set of #Race3 in #Leh! #SalmanKhan with #Race3 cast & crew in #Leh! #SalmanKhan Riding Bike with #JacquelineFernandez on their way to #LehLadakh for #Race3 shoot!